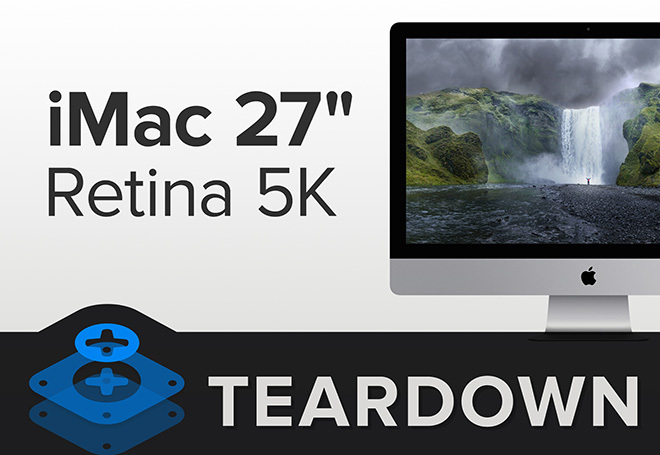 The freshly announced Apple iMac with 5K Retina display got the iFixit treatment. Cupertino’s latest desktop computer received the average repairability score of 5. The internal setup of the new iMac closely resembles that of the previous model, save for some of the new components it features. It shares logic board and Bluetooth controller with its predecessor. That stunning 5K screen is made by LG. The display board behind it is dominated by chips from Texas Instruments. In its repairability score breakdown, iFixit praised the new iMac for its user-replaceable RAM, CPU, and modular (easy to remove) components. However, the LCD screen and the glass are fused together, thus making potential repair quite a hassle. Resealing the desktop in its original condition is also said to be a difficult affair. Check out iFixit’s walkthrough video of the new iMac’s disassembly below.